Everyone needs to have certain items in the estate plan. Gone are the days when a simple will can protect ourselves, our heirs, and our assets after we die. We need other financial products that will help our friends and family understand our wishes and what we want done with our lives and possessions. Will. Your last will and testament is the backbone of your estate plan. Most people understand that a will is going to tell your heirs and loved ones what should be done with your assets that have to be probated. The problem with only having a will is that it can leave your loved ones exposed to fights amongst themselves, and a will does not take affect until your death. You need other documents to direct your care and needs should you become incapacitated. Living Will. A living will makes it known to your loved ones and family your wishes about what, if any, extraordinary life support measures should be taken should you become incapacitated. Having a living will that spells out what should and should not be done to your body if you are injured can save your family a lot of heartache and significant expenses. No one really wants to discuss or even think about something horrible happening to them. But, lets be realistic for a minute, life support is expensive! My wife and I have an agreement that we will give each other a week before we “pull the plug”. Health Care Power of Attorney. If you are sick or injured and unable to communicate with your doctors and nurses, you will need someone to make critical medical decisions on your behalf. You should have this document in your family members’ possession before the actual need arrives. Living Trust. A living trust will help your family avoid the pain and expense of probate court. A living trust can also greatly decrease the time it takes for your assets to be transferred to your loved ones. Another great way to avoid probate is by keeping your beneficiary designations updated. Most people understand the importance of having a valid will, but a lot of people do not know that they need other products to protect them and their heirs from a lot of hassle at the end of our lives. 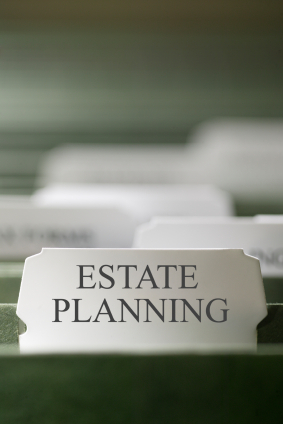 Having these four essential estate planning tools will help ease the pain and burden on your loved ones in what is sure to be a trying time during your death. I am good on all four counts and so is my wife. When we got our will, we asked a lawyer to help us with the since we have a few unique circumstances. He suggested setting up all the other documents as well which is why we are all set in this area. It does make me feel better that we have these documents, but I am not quite sure why.